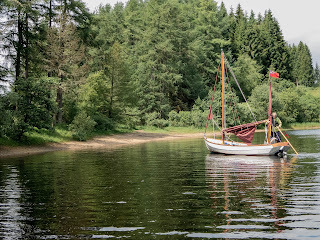 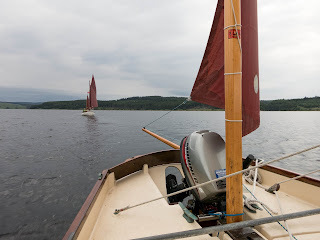 Kielder Water is the largest artificial lake in the United Kingdom by capacity and it is surrounded by Kielder Forest, the largest man-made woodland in Europe. 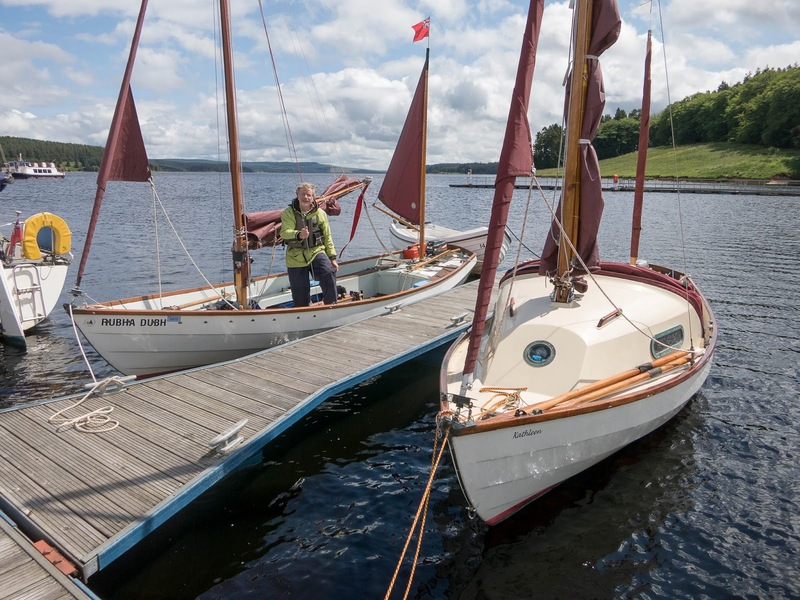 The scheme was planned in the late 1960s to satisfy an expected rise in demand for water to support a booming UK industrial economy. But the decline of traditional heavy industry, together with more water-efficient industrial processes and better control of water supply leakage, served to undermine the original justification for the reservoir and many came to criticise the government-funded project as a white elephant. 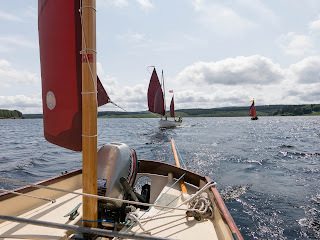 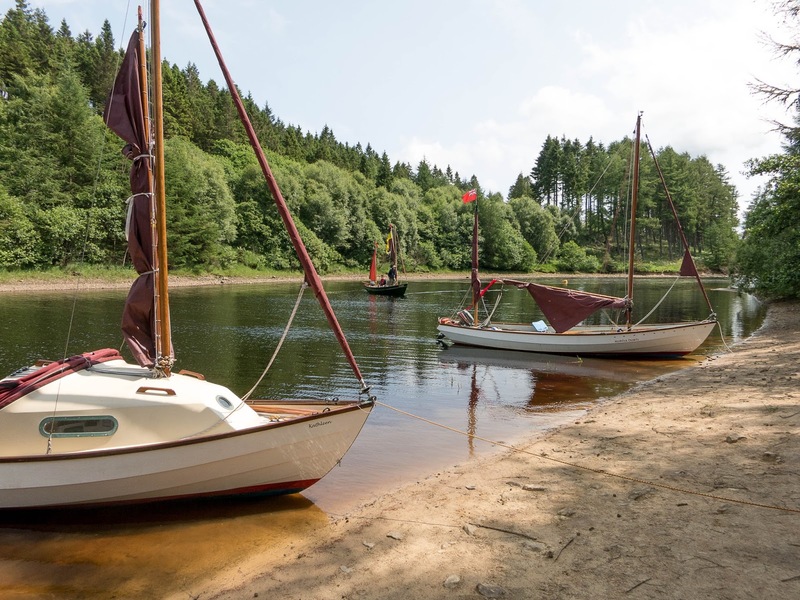 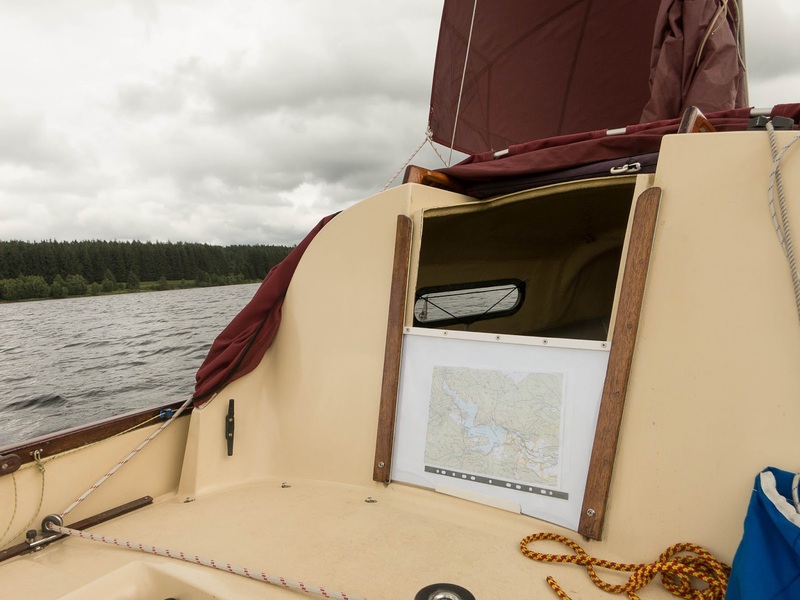 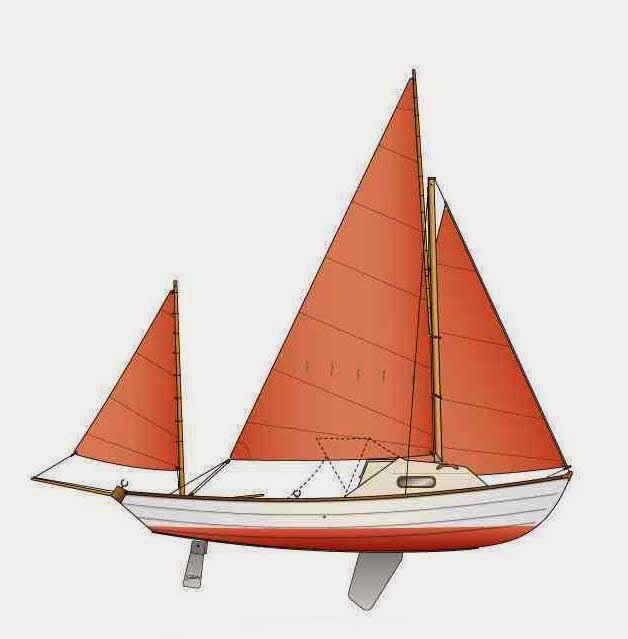 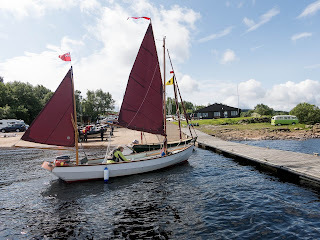 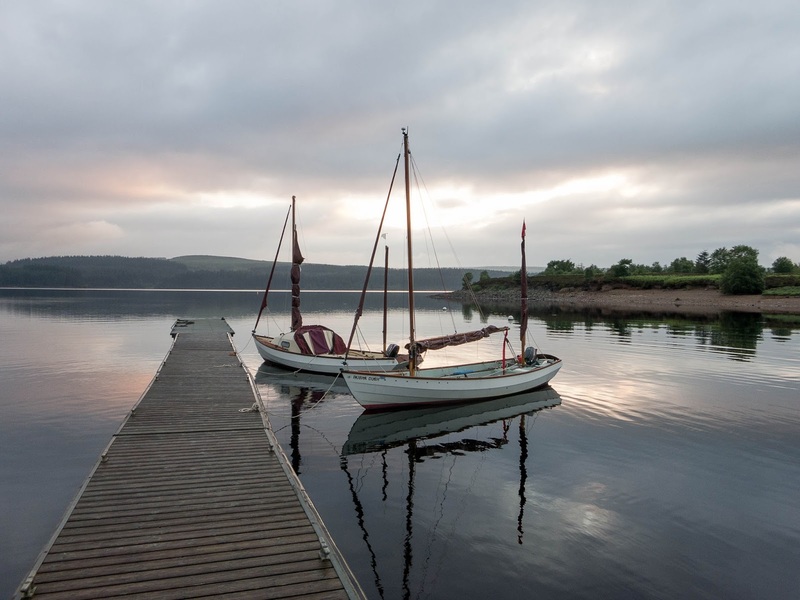 However, it does provide one the best inland sailing waters in the UK, with a perimeter of 27 miles, there is plenty of shore line to explore. 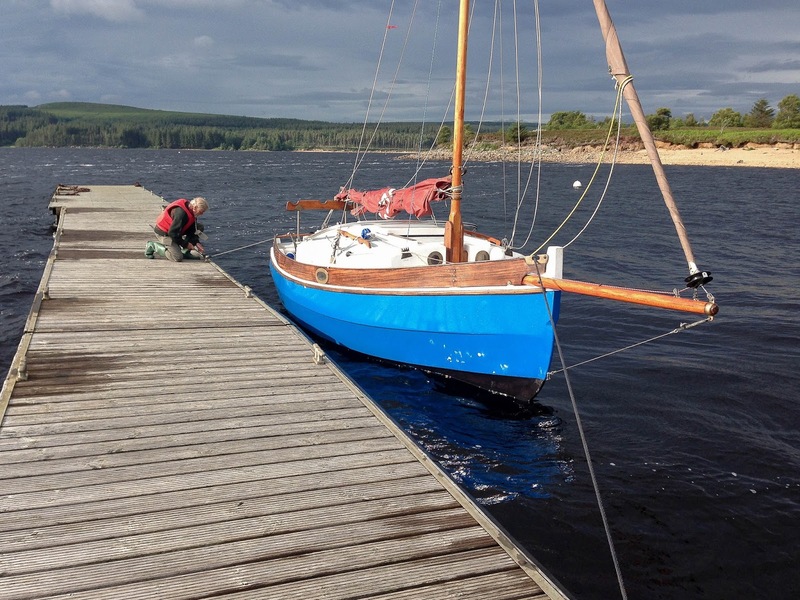 The sailing club was very welcoming, a wide slipway and large club house made life easy for the weekend. At the north end of the water, there is a small inlet that makes a perfect landing spot. Although there was only four Drascombes on the rally, we were joined by a Winkle Brig on Saturday. 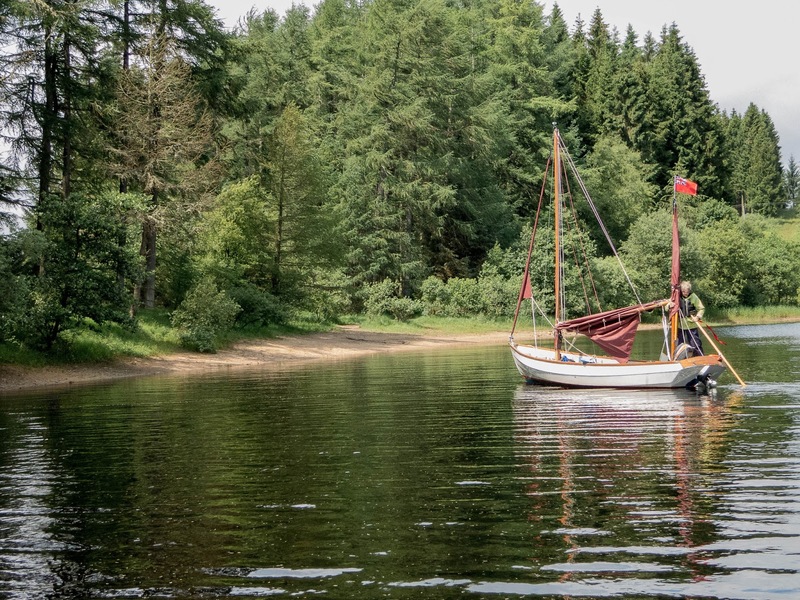 The Kielder Water visitor centre is at Leaplish, where is possible to land and use the facilities, which include a restraint. However, we did manage to get a coffee and cake.